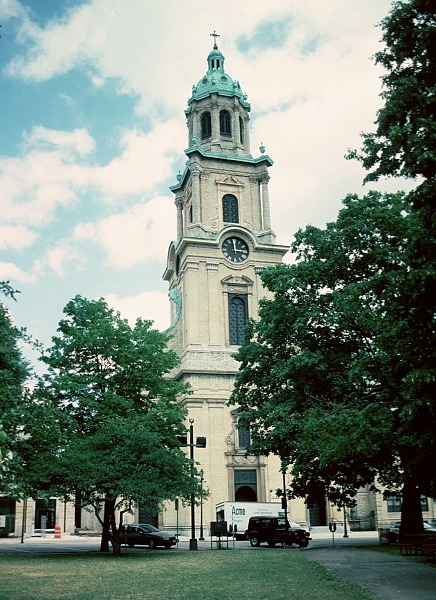 One of the city's oldest churches, it originally had a much shorter tower. The present Baroque tower, designed by Ferry & Clas, was added in 1892--although the lowest register of the tower is part of the original. 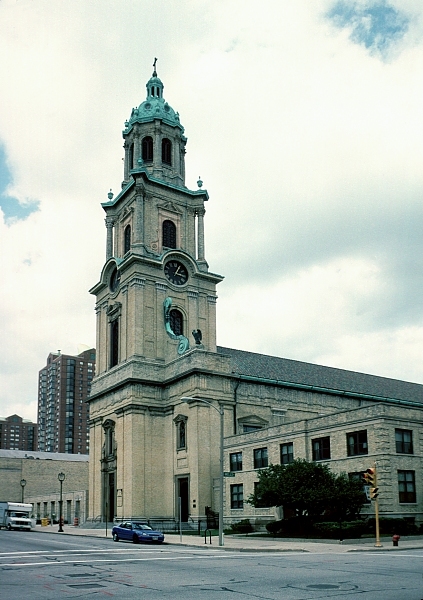 The style of the original church is defined as German Zopstil, a style with similarities to American Federalist architecture. 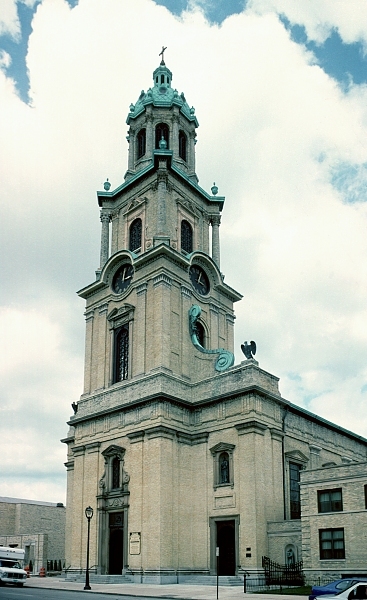 (See also Sir Christopher Wren in the Index for other interesting towers.) A devastating fire in 1935 destroyed much of the interior of the building. 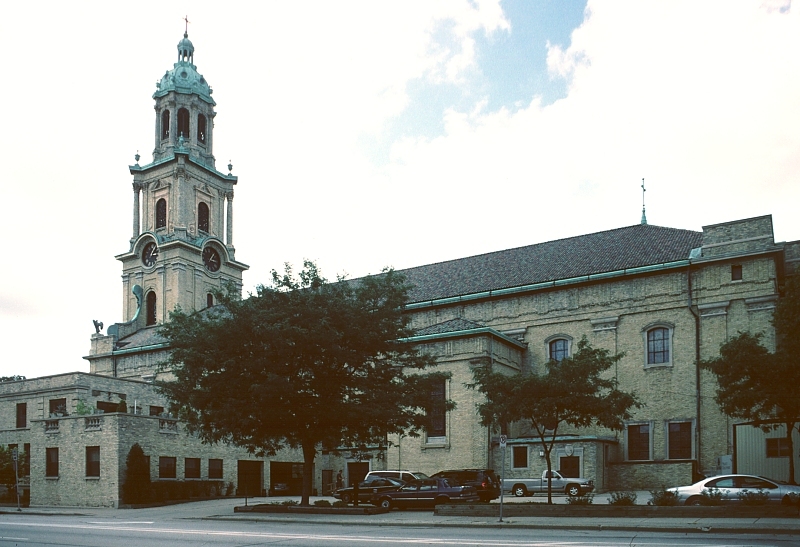 See also Schulte's St. Mary's Roman Catholic Church.